I don't intend to write much about the Saskatchewan provincial election because, truth be told, there's not much to write. When the incumbent is literally more popular than God, you can usually call the campaign before it begins. So all that's left to determine is just how bad it gets for the opposition. Don't expect the orange wave to hit land locked Saskatchewan on November 7th. The NDP are attempting to avoid a historic defeat - just once since the days of Tommy Douglas have they fallen below 20 seats, yet they could be down to a dozen ridings once the dust clears. I'll leave the "what went wrong" posts to those who actually follow Saskatchewan politics, but I have a tough time imagining a scenario where someone named "Dwain Lingenfelter" could beat someone named "Brad Wall". Just say those two names out loud and tell me who sounds like the stronger leader. For the Liberals, the situation is even more dire. They're only running 9 candidates this election, and have gone all in on the Elizabeth May tactic of trying to get the leader elected - in this instance, Ryan Bater in the Battlefords. If they're shut-out for the third straight election, there's a very real chance the party could drift away into nothingness, prompting another round of "is the Liberal Party dying" columns. The video below gives some background on Bater. Click here to donate and help get it on the air. Just what we need - 30 more MPs! Ontario will get 15 new seats, British Columbia and Alberta six each and Quebec three in the latest and probably final attempt by the Harper government to rejig the House of Commons in favour of the fast-growing provinces. Obviously enough, a lot will depend on where the new boundaries are drawn and what the political landscape looks like in four years. What's currently a CPC seat might not be a CPC seat next campaign. But the bottom line is this - the creation of these new ridings gives Harper a 10-seat cushion over the opposition heading into the next campaign, making the job of dethroning him that much harder. EDMONTON - Two energy companies learned of potentially lucrative changes to a $350-million incentive program before cabinet ministers approved it, documents obtained by the Alberta Liberals show. Internal emails reveal that days before cabinet approved the program, aides to then-energy minister Ron Liepert were working with a Williams Energy lobbyist who was already preparing to announce the company's plan to take advantage of the incentives. The records also show a former vice-president and lobbyist for Nova Chemicals helped redesign the program, aimed at boosting ethane production, which ultimately benefited his one-time employer. When asked who would make the Best Premier, more Albertans name Redord (32%) than Smith (15%), Sherman (8%), and Mason (6%) combined. While it's usually easy to cherry pick a few nuggets from a poll of this size for the purpose of spin (look at that Liberal momentum in Atlantic Canada! ), there's little good news for any of the opposition parties. The days of the Wildrose polling neck-and-neck with the PCs have passed, and the election of a Liberal-in-PC-clothing has done little to boost their support. Redford is more trusted than Smith on all issues tested, including the economy, job creation, and debt management. Danielle Smith could do no wrong a year ago, but she's now about as popular as Raj Sherman. My how the mighty have fallen. The Liberals have had a difficult time holding onto their 2008 voters (all twelve of them) and would lose seats with these numbers. The only bit of good news for them is that Sherman is as trusted as Redford on Health Care, the province's top issue. Although 13% is hardly an orange wave, these aren't bad numbers for the NDP, and they find themselves tied with the Liberals in Edmonton. Encouraging, but it's not any more impressive than the Layton-bump the NDP has enjoyed in other provinces this fall. The Alberta Party and Glenn Taylor were given as prompted choices on this survey, which is a score for them. After all, the Greens usualy poll about 3 or 4 points higher on when they're listed as a voting choice than when survey respondents are forced to name them without prompting. But at 2% support, the Alberta Party has a long way to go until they can even match the Green Party's ability to rally the "none of the above" crowd on polls, never mind the ballot box. Frank Klees, the runner up to Tim Hudak in the 2009 Ontario PC leadership race, has announced he will be running for speaker when the Ontario legislature resumes sitting. If you're wondering why we should care, the answer is "math" - with Klees as speaker, the legislature would be split between 53 Liberals and 53 opposition MPPs. By convention, the speaker sides with the government on confidence motions, leading many to call this a "working majority". The thing is, just as it was premature to panic over the Liberals being one MPP short on election night, it's foolish to call this a working majority. To start with, the speaker votes for the status quo, which means he'd have to oppose Liberal initiatives which aren't confidence matters. More importantly, there's a certain fluidity in these numbers. MPPs miss votes, they resign, by elections are held. It's happened in every session since the beginning of parliamentary time, and it boggles my mind that no one expects it to happen again. At some point, someone is going to get sick or call it quits, and that will tilt the scales in one direction or the other. It's great to have a "working majority", but this by no means guarantees us four years of smooth sailing. UPDATE: Then again, a Liberal might still wind up in the speaker's chair. Which will make life for Mr. Klees in the PC caucus rather uncomfortable. "Legault" refers to "a new party led by Francois Legault", the former PQ Cabinet Minister who heads the Coalition pour l'avenir du Quebec, a group hoping to move beyond the sovereignty debate with a bold "pro-future" agenda. The coalition won't declare their electoral intentions until November 14th, yet they sit in first place, with nearly as much support as the Liberals and PQ combined. It seems far flung to image a party being able to form, organize itself, and take power in a year or two but after seeing the orange wave sweep across Quebec in a matter of weeks this spring, it would be rash to count out Legault. Quebecers are clearly not satisfied with their options, and haven't hesitated to mark "none of the above" in the past. Ontario and B.C. will get fewer new seats than the Harper government originally promised, according to the Conservatives’ latest plan to redraw regional representation in the House of Commons. The move, meant to address growing populations in B.C., Ontario, Quebec and Alberta, adds seats in all of those provinces. Compared to an earlier plan, though, B.C will receive five rather than seven new seats, while Ontario will get 13, down from the 18 it was originally promised. The Tory stronghold of Alberta will receive six new seats, and two more will go to Quebec, which had argued its representation was disproportionately low compared to English Canada in the Conservative’s original redesign. While everyone will try to predict what this means electorally, a lot will depend on what the new ridings look like. Even in a place like Saskatchewan (who will stay at 14 seats) the new boundaries could be a game changer. Redrawing the nonsensical rurban ridings that go from downtown Regina and Saskatoon to 100 miles outside city borders could cost the Tories seats...or it could mean the end of Ralph Goodale's reign as the king of Wascana. We won't know the new boundaries for another two years, so anything before then is just speculation. But speculation is fun, and it's better done using numbers than the guesswork we've seen in many newspapers this week. So I've taken a crack at analyzing the electoral implications of the new ridings in what is sure to be one of the most exciting edge-of-your-seat posts in the history of Calgary Grit. To figure out where the new seats will go, I took the average riding population post-redistribution and carved anything above this number off into new ridings. For example, once Alberta grows from 27 to 33 seats, the average riding population will be 87,000. Ridings smaller than this are assumed to stay the same, while 30,000 "excess" voters from Calgary Centre get sent to a new ridings...when tallying the numbers, this means Calgary Centre gets counted as about a third of a "new" riding. In short, we know big chunks of big ridings will be carved up to make new ridings. This analysis identifies just how big those chunks are. That spells good news for the Tories and bad news for the NDP, but that's mostly a reflection of Alberta getting three times as many new seats as Quebec. Within each province, the support level for each party in the "new" ridings is quite similar to their province-wide numbers. Things will change, but this plan adds a de facto 10 seat cushion to the Tory majority. That's a big deal. This will make the job of the Liberals and NDP harder in 2015, but they have no one to blame but themselves. The Liberals especially, have written off Western Canada for over 30 years, even though the electoral math makes that strategy riskier and riskier as time goes by. Going 0 for 19 in Alberta in 1972 is one thing...going 0 for 33 in 2015 makes it that much harder to form government. Even though the addition of these new seats will benefit the Tories, these gains may be offset by other intangibles. Redistribution hurts incumbents, since new borders will force some MPs to campaign in neighbourhoods where they are unknown to voters. Given the Tories have the most incumbents, this works against them. Redistribution also risks opening up is a Copps-Valeri situation, where MPs are forced up against each other. There aren't many benefits to only having 34 MPs, but this is a problem the Liberals won't have to worry about this go around. His plan would be to let grassroots members of the three parties [Liberals, NDP, Greens] decide in each riding currently held by the Conservatives whether they wanted to hold a joint nomination meeting. If they agree, all parties could run candidates at that meeting and all card-carrying members of the three parties would get a vote, but only the winner would go on to run for a seat in Parliament under the banner with which they ran in the nomination. Something like this is a lot more realistic than a full blown merger. It at least deserves consideration, since the death of the per-vote subsidy removes some of the incentive for parties to run kamikaze candidates. Still, I question how many ridings would actually agree to a proposal like this. From a pure game theory perspective, there's no incentive for the Greens to participate since they'd never win a joint nomination. Similarly, I can't see Liberal and NDP members agreeing to an open nomination unless they were both convinced their candidate could win it - that likely limits this to a dozen ridings coast-to-coast. Even if things made it that far down the track, the logistical nightmare of a joint nomination meeting might be too much to overcome. Cullen himself admits the Liberals and Greens are unlikely to go along with his plan, and he's probably right. But good on him for putting the idea out there for debate. I'm a staunch anti-merger Liberal, but even I concede it's worth at least considering. ...Justin Trudeau won't run, but Thomas Mulcair will. So this sets us up for a Mulcair-Topp battle for Stornoway. All early indications are that Topp and Mulcair will play nice with each other, while their supporters mercilessly smear each other in the press. After watching Liberals do this very thing for years, I'd caution against this war-by-proxy. You'd be amazed how many people pick a candidate to support just because someone else's supporters come across as complete assholes. By sending their supporters out to do the dirty work, Mulcair and Topp are opening the door for someone like with Paul Dewar or Nathan Cullen to come "up the middle" and win. I know it sounds unlikely now given all the media attention on Topp and Mulcair, but this is a long race, and things like this have been known to happen before. Three of Alberta's political parties have now held leadership races this year, with the Wildrose Alliance having picked their leader two years ago. Yes, the PC total is down from their 2006 leadership contest. The dynasty has seen better years. But for those writing their obituaries, it's important to remember just how large an organizational advantage they hold over their opponents. 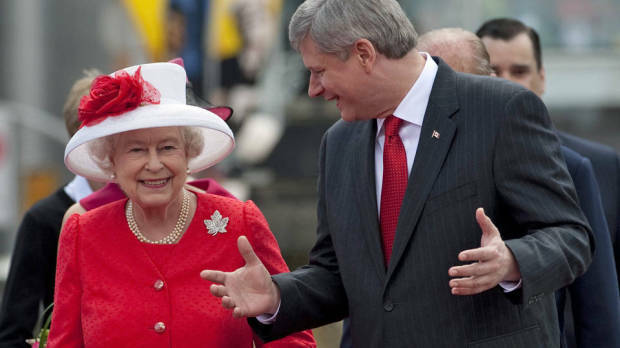 Stephen Harper speaks out in favour of "modernizing" the rules for succession when it comes to selecting Britain's, and Canada's, head of state. ...just so long as this modernization doesn't including allowing Canada's head of state to be Catholic, Canadian, or born outside a certain gene pool. 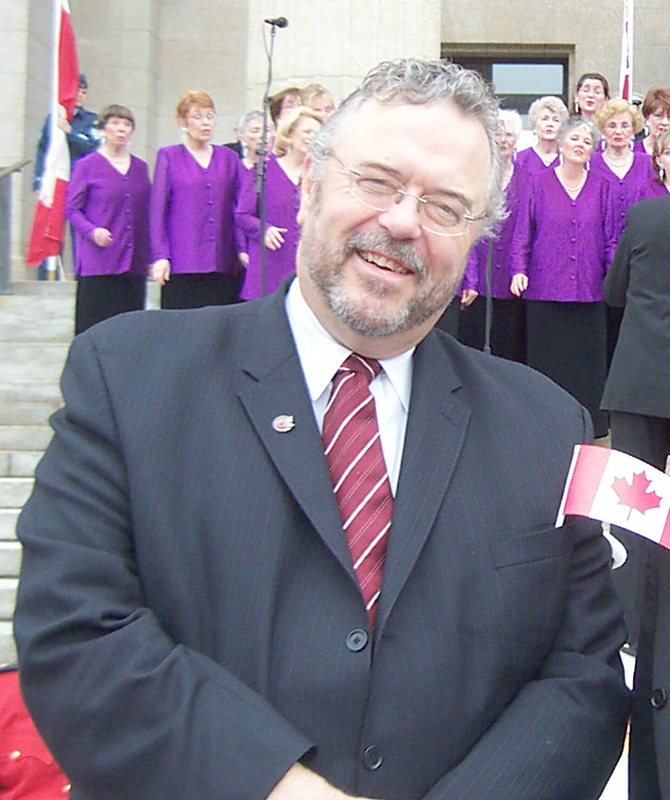 Sad and unexpected news, as former MP Reg Alcock died this morning at the age of 63. I'm sure most will remember his time in Cabinet, but what will stick in my mind was a mild controversy I helped stir up at the 2005 Liberal Policy Convention. I was president of the University of Calgary's Liberal Club at the time, and having not yet grown jaded about the LPC's policy process, our club had put forward a resolution to legalize marijuana. We'd pulled off a small miracle by getting it prioritized at the Alberta convention, a feat that required hung over youth showing up bright and early Sunday morning to vote. So this sent the policy to Ottawa, where we'd created a bit of buzz with pamphlets and t-shirts. Reporters began asking MPs about the policy, and Reg was blunt saying he supported legalization, since it was the only way to break the back of organized crime. Maybe he should have stuck to the government line, but I respected his willingness to speak his mind, even if it meant having to field an angry call from the PMO. We invited him out to an event at our club shortly afterwards, and he was equally blunt there, speaking honestly on a range of issues. I know everyone came away impressed. It's hard not to like a Western Liberal who speaks his mind. He will be missed. If I told you a few months ago there would be a picture of Dalton McGuinty waving on newspaper front pages October 7th, you'd have assumed it would be on the Sun, directly below a "GOODBYE! GOOD RIDDANCE!" headline . After all, when the unofficial campaign kicked off this spring, McGuinty was 10 or 15 points down. You couldn't turn on the TV without seeing a PC "Taxman" commercial. Over a dozen MPPs saw the way the wind was blowing and decided against running for re-election. Opportunists viewed a Tory nomination as the easiest way to power. Yet Dalton McGuinty earned a rare third term last night. How the hell did this happen? The first, and perhaps most important, decision of his campaign team was to highlight the Liberal record. Rather than going neg in response to the taxman ads, the Liberals ran a series of crisp and clean commercials featuring nothing but Dalton McGuinty talking about his record. The ad started with McGuinty sheepishly admitting he wasn't the most popular guy in Canada, before making the case for re-election. The supporting arguments were easy to understand and were backed up with facts and figures. The Liberals carried this largely positive tone into the fall. Important, considering the grumpy nature of the electorate and the dynamics of a three-party race - simply hitting Hudak over the head day in and out would have left Andrea Horwath free to pick up the pieces. By selling McGuinty, the Liberals were better able to capitalize on Hudak's missteps. And misstep he did. I'm not talking about the "foreign workers" slip, the homophobic pamphlet, or Cheryl Miller's unfortunate case of honesty. Hudak's biggest mistake was his campaign message, which could be summed up in four words - "taxes bad, McGuinty bad". Yes, no one likes taxes. Yes, many agree McGuinty is the taxman. But Hudak wasn't promising to remove the HST and McGuinty wasn't promising to increase it. Sure, Hudak's platform contained a few tax cuts in it, but he didn't talk much about them and never really explained how he'd balance the books. Hudak's campaign was curiously silent on all other issues - except for the all-important issue of BBQ abilities. The Liberal campaign was equally focused and on message, but was cooking with more ingredients. They played to the Liberal strengths of Health Care and education, while promising new jobs. Their platform was more modest than their opponents', so when the markets began to teeter, they were able to quickly pivot to the same "experienced leadership in uncertain times" pitch Stephen Harper rode to victory this spring. Let's all say it together now - we need a strong, stable, Conservative Liberal government! Now, I don't want to oversell this - after all, the Liberal vote fell 5 percentage points, and they lost 17 seats. They barely got more votes than the Conservatives. It was a humbling result. But McGuinty still won. He won by talking about issues that mattered to voters, and made a convincing case for why he deserved re-election. Tim Hudak talked a lot about about McGuinty's shortcomings and talked a lot about "change" - but never articulated what it was he would change. So while the end result may be a bit of a surprise, it shouldn't be. The Liberals made a better case for why they should be in power than the PCs, and won. It's as simple as that. Which, as you will hear about fifty billion times this weekend, leaves the Liberals one seat shy of a majority government. However not all minorities are created equal, and failing to win that last seat isn't the complete failure many will paint it as. For starters, it shouldn't be too hard to find an opposition MPP willing to take on the job of speaker...and the raise and perks that come with it. That would leave the Liberals and opposition tied at 53 seats and, as we all learned during the Chuck Cadman confidence mayhem, the speaker would be required to vote with the government on non-confidence motions to preserve the status quo. There's also bound to be some fluidity in the seat count. MPPs will resign, and there will be by elections. Perhaps we may even get a floor crossing - though, sadly, the most poachable candidate for this went down in a blaze of glory in Eglinton Lawrence tonight. Beyond the math, there's also the politics. Ontarians have gone to the polls three times in the past year, and given the abysmal turnout rate tonight, the appetite is definitely not there for another election anytime soon. Don't expect anyone to force an unnecessary election and bear the wrath of the electorate - at least not until campaign debts have been paid off. So while McGuinty won't be able to write his name in the record books with three straight majority governments, he got the strong mandate he was asking for. That should be enough to keep Ontarians away from the polls for at least 2 or 3 years. I won't be providing many updates tonight, but will offer some thoughts before heading off to bed, with the mandatory post-mortems coming tomorrow. By all means, share your thoughts in the comments section as the results roll in. Ontarians head to the polls today, with the two parties deadlocked a Liberal majority looming a PC victory likely the outcome still up in the air. I'll be voting for Dalton McGuinty. No surprise there. But I still want to take a moment to explain why, because I truly believe this is a government deserving of re-election. When I first moved to Ontario in 2008, I had rather lukewarm feelings towards the Premier. He'd spoken well at an Alberta Liberal convention a few years earlier, but it's not like he had the crowd chanting "yes we can!". My sense was he'd been a competent Premier but had largely wasted his first term, preferring to govern towards re-election than towards some grander vision. But during my time in Ontario, I've grown more and more impressed with McGuinty, both in terms of his political abilities and, more importantly, by what he's managed to accomplish. 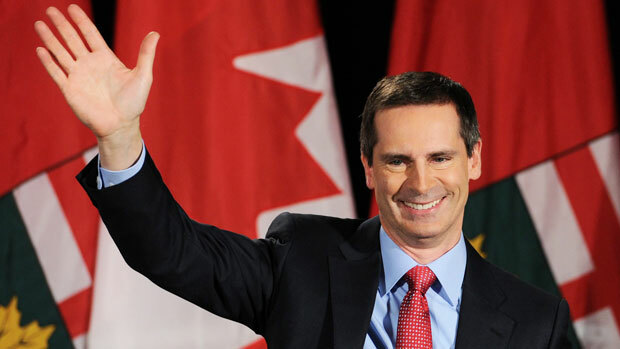 Throughout his second term, McGuinty hasn't shied away from thinking big. His push on green energy has had mixed results - smog days are down and Hydro bills are up...but the important thing is that Ontario has begun shifting from the industries of yesterday towards the industries of tomorrow. McGuinty introduced the HST knowing full well it would be popular with experts and economists, but not with the public. In less controversial moves, he has continued to make improvements to Ontario's Health Care and education systems. Ontario wait times have gone from the longest in Canada to the shortest. I was at a party a few weeks ago, and people were remarking about how easy it is to find a family doctor these days. Full day kindergarten has come to Ontario. Ontario schools are now ranked number 1 in the English speaking world. If I sound like a Liberal commercial, it's because I am. And that's another reason I'm proud to be voting Liberal. Back this spring, McGuinty was getting the snot punched out of him by everyone. PC ads calling him "the Taxman" were airing on every channel. The temptation must have been uncontrollable to punch back. Instead, the Liberals began airing minute-long commercials with nothing but McGuinty talking about his record. He used facts. He cited third party validators. He made the case for re-election. Of course he has taken some jabs at his opponents this campaign. That's the name of the game. But the Liberals have been the only party treating voters like grown-ups. It showed in the debate, when McGuinty spent the night boring the audience with facts, Hudak spent the night finding new ways to say "taxes bad, McGuinty bad", and Andrea Horwath spent the night producing a string of platitudes and charming stories. The grownup tone of the Liberal campaign was also matched with a grownup platform. The Liberal platform is more modest than the Tories', who pretend they'll be able to cut taxes without cutting services. The NDP platform is even more troubling - in addition to promises that would cripple the economy, Horwath has abandoned the NDP's traditional role of looking out for the little guy, in favour of gimmicky promises. The environment? She likes the idea of it, but wants to cut taxes on gas guzzlers and home heating. Taxes, I would add, which are paid disproportionately by the richest Ontarians. Those are some of the reasons I'll be voting Liberal today. I'm sure a lot of Ontarians - the majority in fact - disagree with me. If you do disagree, then make sure you too get out and vote today, so that your voice is heard. 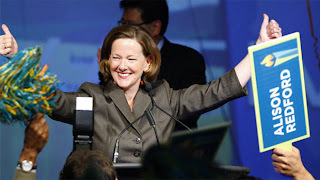 Alison Redford was Saturday's surprise winner of the Alberta PC leadership race. As stunned as frontrunner Gary Mar was, the most surprised may have been Alberta's opposition parties, who had no doubt begun positioning themselves against Mar. So how does this shocker change Alberta's already rocky political landscape? Redford's first task will be assembling a new Cabinet - expect that announcement in about a week. Her second will be deciding when to go to the polls. There had been speculation Mar would call a snap election this fall, but Redford's victory has ended talk of this, with the Premier-designate saying she will not call an election before June. Although Redford campaigned on fixed election dates, it's unclear whether this was a real promise, or one of those silly things one says to get elected. So the exact timing of the next election is still up in the air. Redford will use the time until the next election (whenever it is) to earn the trust of a caucus she had only a handful of supporters in, and to introduce herself to voters. Redford ran a policy-heavy campaign, and enacting some of these policies into law would be the perfect way to define herself to the electorate. After Gary Mar, the biggest loser on Saturday may have been the Alberta Liberal Party. Running a single issue Health Care campaign against Gary "two tier" Mar must have been a tantalizing prospect for newly elected Liberal leader Raj Sherman. Now Sherman finds himself up against a red Tory who is popular among women and lists education and Health Care as her top two priorities. Redford looks like a Liberal and sounds like a Liberal - she likely would have run as a Liberal if Liberals stood a chance of being elected in Alberta. That makes her a very formidable opponent for Liberals. Hell, even Margaret Atwood is excited. For the same reasons Redford's victory is trouble for the Liberals, it should help the Wildrose Alliance. They can now portray themselves as the only "true" conservatives, and might be able to poach a few disgruntled PC MLAs or organizers. At the same time, the Wildrosers should be careful about toasting Redford's win. After all, much of Danielle Smith's appeal transcends the political spectrum. To many, Smith isn't a conservative ideologue - she's a strong female candidate willing to take on the establishment. That was very much Redford's M.O. during the leadership contest, so if the choice boils down to Redford or Smith...well, maybe voters will opt for the leader whose party has been tested and whose candidates aren't as extreme. The short of this is to say Redford adds another wild card to an already unpredictable political game in Alberta. The challenge for all parties becomes shifting strategies and defining this largely unknown leader. ...except in 2011 in Canada. Add the Manitoba NDP to the growing list of parties re-elected with a strong, stable majority government. The Newfoundland PCs and Saskatchewan Saskies will join then shortly. We'll find out about Ontario on Thursday. “The Tories are not going to win. This campaign is all but finished"
Those are the words of Ipsos' John Wright. If Tim Hudak is worried about a Liberal-NDP coalition, there's only one way to prevent it at this point - and it's not by voting PC. Quick! Someone get Dean Del Mastro to run a poll to prove these numbers wrong! UPDATE: No need for Del Mastro. Angus Reid shows the PCs leading by 3. Alison Redford is seen to have won the Alberta PC leadership on a policy-heavy campaign. She promised change, so one would imagine she's eager to get going and introduce herself to voters through a bold agenda. Redford has cancelled the legislature's fall session. When MLAs return to their seats in February, it will have been 9 months since their last sitting, and over 4 months since Redford's election as Premier. The argument being advanced by Redford is that she needs time to settle in and draft legislation. That may be true, but the optics of this are horrible. Here you have a newly elected leader promising change...but then taking a 4-month vacation before enacting the change. I fully recognize that's not the case, but as we learned in the prorogation fiasco, Canadians interpret going to Parliament as showing up for work - it's not hard for the opposition parties to spin this as Redford not being ready for her new job. It also doesn't help that members of her team are now on the record as saying: "If you have nothing else to do, you can't really call the Leg into session for an hour or so, so the opposition can rake you over the coals". The criticism writes itself. She's not showing up for work. She promised change...after a 4 month vacation. She's afraid of criticism. After 40 years in power, the PCs consider democracy a nuisance. Take your pick. Redford, who came to power on a wave of goodwill, has now hand-delivered talking points to her opponents. Even if they won't get a chance to use them in the legislature until February, that's not a wise move. UPDATE: It didn't take long for Alison Redford's first flip-flop. The fall session is back on! Down to third-party status federally. Teetering in Ontario, Quebec, and British Columbia. In opposition everywhere else. The Liberals came back to power with a reduced majority in Prince Edward Island Monday, leaving incumbent premier Robert Ghiz with a weaker hand to tackle the province’s looming financial problems. The Grits were projected by The Canadian Press to win more than half of the legislature’s 27 seats, a clear victory but considerably fewer than forecast at the start of the campaign. Although 40 years of one-party rule and pre-ordained election results can make for dull politics, I will give Alberta's PC dynasty credit for tossing the occasional surprise towards us political junkies. And surprise us they did on Saturday night. For the third consecutive PC leadership contest, the frontrunner fell in spectacular fashion. Alison Redford is Alberta's new Premier, and the third Canadian woman to take on that title over the past year. Gary Mar defeated Redford 41% to 19% on the first ballot two weeks ago, and every candidate dropped from the ballot went to Mar. Yet somehow, Redford tripled her support and surged to victory. For starters, this wasn't a case of Mar losing supporters - he received over 8,000 more votes than in round one, and his vote total only dropped in 5 ridings. Rather, it was a deadly stall for Mar, a candidate who should have had all the momentum, but who couldn't increase his share of the vote by more than one or two percentage points. There are many theories as to what went wrong - the most popular being this was a backlash to the "establishment" which had lined up en masse behind Mar. If that is the case, it would certainly explain why Alison Redford was there to pick up the pieces. Although she was Justice Minister at the start of this leadership race and Mar had been out of the province for years, Redford was very much the race's "outsider". You could count her MLA endorsements on one hand...even if that hand were short a few fingers. She showed herself to be the most "mavericky" of the candidates, not hesitating to criticize the Stelmach government throughout the leadership contest. While running as the outsider means Redford enters the Premier's office with few favours to repay, it also means she'll be greeted to rousing cheers at her first caucus meeting by MLAs who wish someone else were standing in her spot. Ed Stelmach was done in by an unspoken caucus revolt - rather than unifying the PC family, Redford now inherits a party even more divided. Anders, speaking of his Calgary West nomination opponent, Alison Redford, says he is confident he'll have little trouble rounding up enough party votes to defeat Redford, "unless she's got some magic support base of people who like feminist lawyers." On Saturday, Redford came out of nowhere to triple her first ballot support and win the Alberta PC leadership race. She will be Alberta's next Premier. The Toronto Star's endorsement of Dalton McGuinty shouldn't surprise anyone. Yes, they were briefly the "Orange Star" this spring, but anyone who has read their Ontario election coverage saw this one coming a mile away. Today's Globe endorsement is likely a bit more meaningful - at least, if you think newspaper endorsements mean much of anything (they don't). After all, the paper has endorsed Stephen Harper the last three federal elections. And although their endorsement of McGuinty is measured, it's far less measured than the most Globe endorsements which are usually typed with one hand while the other one firmly holds the editorial board's nose. So this leaves Tim Hudak with nothing but the Sun endorse...what? Yikes. Yes, even the Sun has decided against endorsing the Tories this campaign. They admit they "wanted" to like Tim, but just couldn't. Guess he doesn't look as good in the flesh as his eHarmony profile. Of course, Hudak could still win the election. But these (non) endorsements speak to the type of campaign he has run - at times juvenile, always negative, with no more than a minute or two of substance sprinkled on the "taxes bad" talking points. As the federal Liberals have learned of late, if you don't give people a good reason to vote for you, they usually don't. The same goes for newspaper endorsements. UPDATE: Hudak lands the Post.